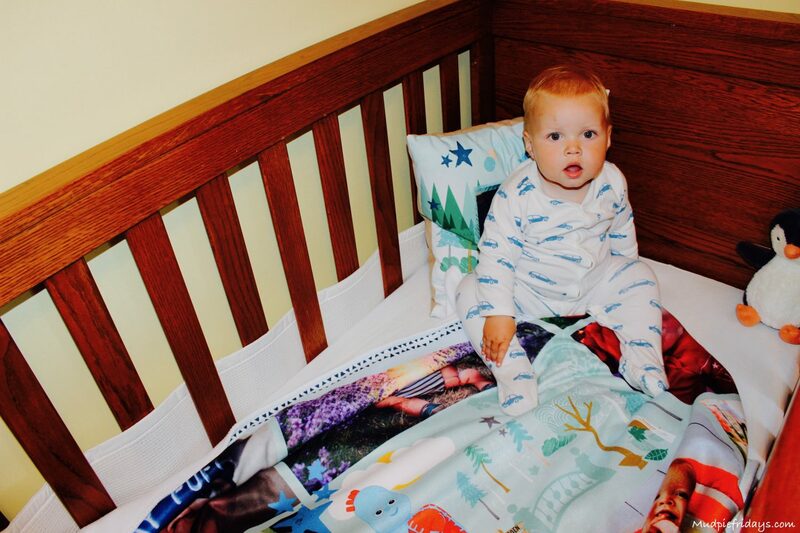 In the Night Garden with Truprint: I have always been a lover of photo gifts, anything with Monkey’s or Kipper’s picture on it will always score highly in my book. Especially since starting to write here I have become even more obsessed with taking pictures of the boys. Something that I will always be grateful for. My memory is shocking and as I get busier it gets worse. Sometimes I have no recollection of what we got up to at the weekend! Photos are my memories and so important to me. However like many people they tend to stay on my computer, phone or memory card. 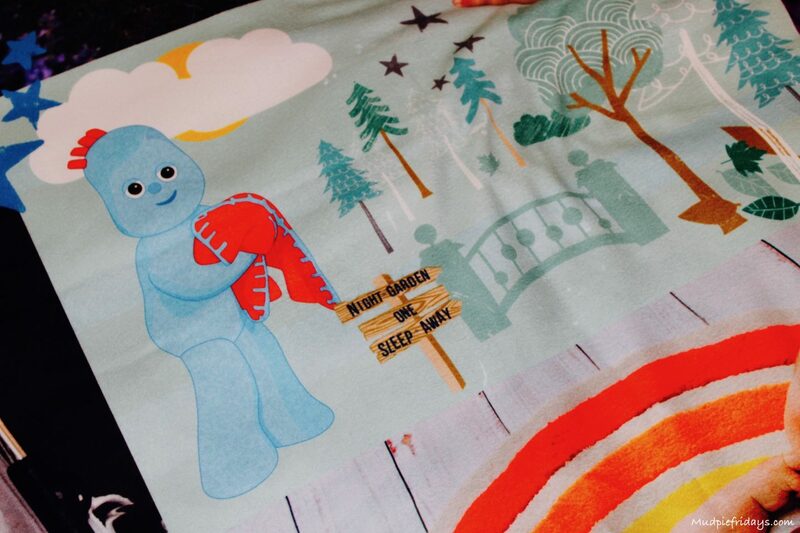 So when Truprint got in contact to ask us to review their new range of In the Night Garden designed for little one’s nurseries I was intrigued to see what Kipper’s pictures would look like along side Igglepiggle, Upsy Daisy and Makka Pakka. I opted to order the Soft Plush Blanket and a Photo Cushion. The ordering process online is so simple. You simply upload the photos you want to include in your product before dragging them across to the design. Theres is plenty of opportunity to check to make sure they fit okay and have a look online at the finished article before ordering it. Having used Truprint before for their range of cards and photos I already knew their customer service and delivery was second to none. I was not disappointed with the blanket and the cushion being delivered within a couple of days. I was very excited when they arrived. The blanket is a really good size measuring 57 inches x 43 inches. When I laid it out in our lounge it took up the whole rug. Kipper was fascinated by it recognising himself. 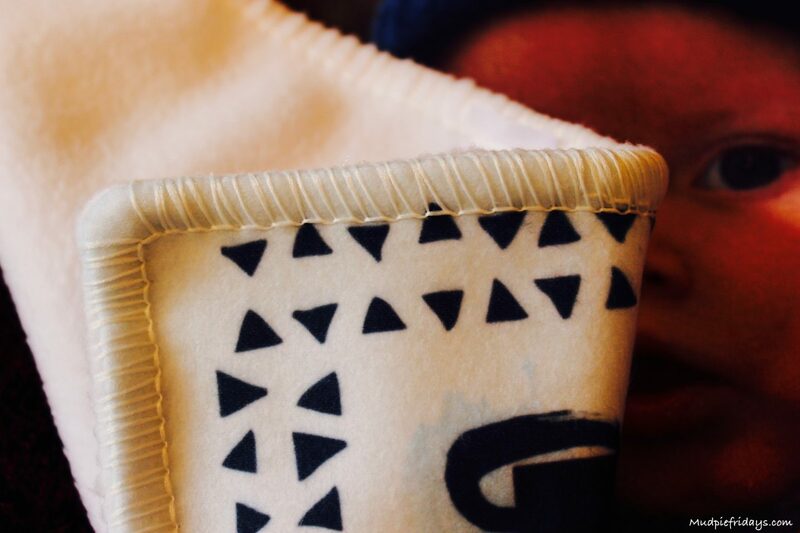 I was impressed by the thickness and the finish on the blanket which had blanket stitch all the way around the outside. The front is completely customisable although I did find it hard to pick only eight photos to use in the design. The back of the blanket is white. Its available in both a blue and pink design. I fell in love with it as soon as I saw it. I love the big pictures of Kipper which are great quality. 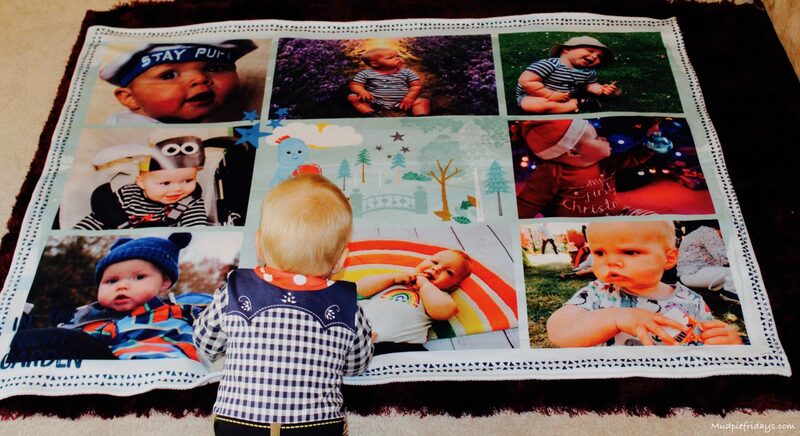 I would never have thought of ordering a blanket with pictures of the boys on before but after seeing this one I would definitely order a second. If you gently stretch the blanket there is no white flecks in it as it is so well printed. In the middle of the blanket there is a picture of Igglepiggle. I have not tired it yet but it is washable at thirty degrees. 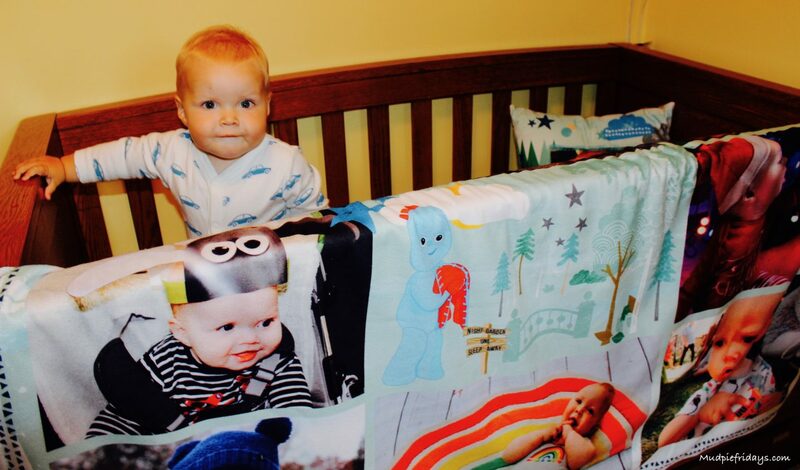 The blanket costs £69.99 and the best bit is that there is a 25% donation to the NSPCC for each one ordered. 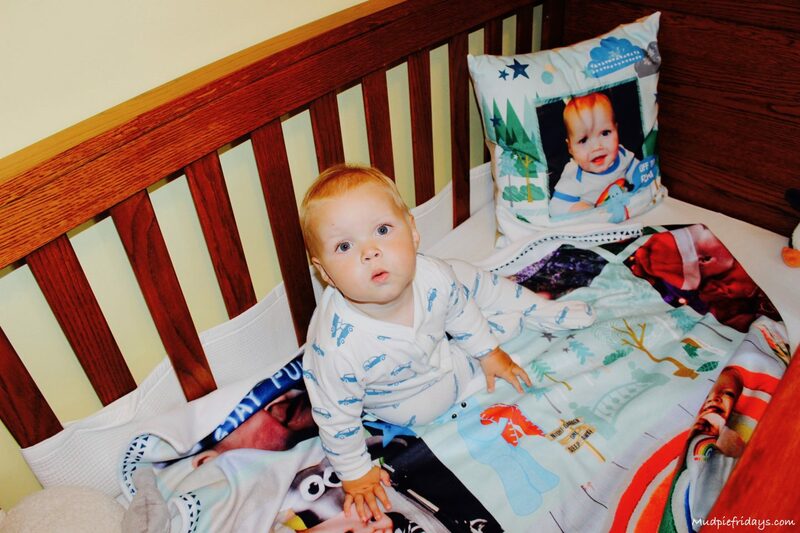 The cushion matches the blanket perfectly and they look great in his cot together (although I remove both at bedtime). The cushion is well stuffed and really comfortable to lean against. Since both boys have allergies I was happy to see that they are allergy friendly and machine washable. The reverse of the cushion is a beige colour and the front a soft satin effect material. 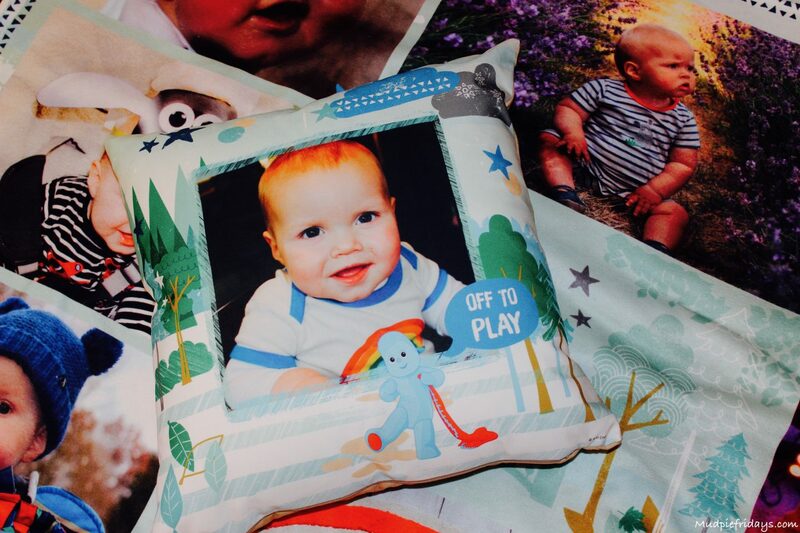 The cushion measures 18 inches x 18 inches and is priced at £37.99 with the same generous donation going to the NSPCC. I opted for a blue Igglepiggle design but there is also a pink Upsy Daisy one for the little lady in your life. 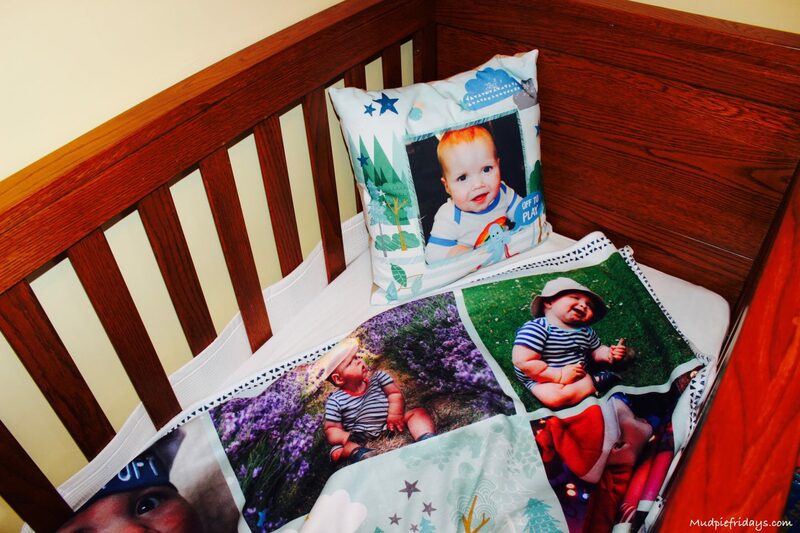 Overall I am totally impressed with both the blanket and the cushion, everytime I walk into the nursery they make me smile. Who doesn’t love pictures of their own babies? This is a collaborative post we were sent a blanket and cushion for the purpose of this review all words and opinions are my own. Aww I love these, gorgeous! My son loves baking soda volcanoes! My niece is always making her potion in the bath. At the moment it has to be the rainbow skittles experiment they love it. Making Volcanos with baking soda. My son loves making volcanoes!! Volcanoes always go down well! The experiments that go bang are their favourites. My kids love anything messy, so baking soda and vinegar was their favourite experiment! My son is two on Friday (25/08/15) and as of yet he has only discovered blowing bubbles through a straw which he loves ! This is a amazing prize I’m in love with yours ! Can’t go wrong with a classic exploding volcano! Crikey, I wouldn’t let him loose doing science just yet lol. nothing yet as my daughter is just two years old. although we do love turning the bath water different colours with crazy foam…does that count? My daughter loves making volcanoes out of playdoh, vinegar & bicarb of soda.